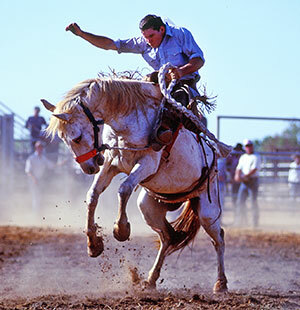 With 2 million acre cattle properties, where dinosaurs roamed and explorers traversed the land, where movies are made and legends are born...this is the heart and soul of this great land. 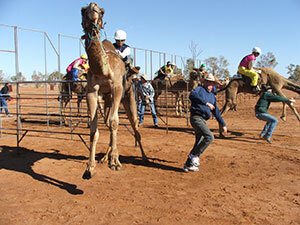 Come with me on an Outback Road Trip to one of the 3 most iconic Australian Outback Events. Three Events, Three Tours, each tour is 8 days long, all leave from Townsville NQ and return there, camping in comfort and style on a unique trip to the wilderness and a taste of the outback life. 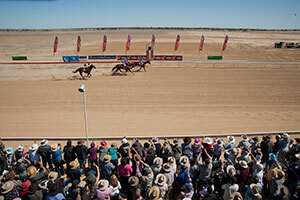 The mighty Birdsville Races, Boulia Camel Race Carnival, and the Mt Isa Rodeo this is quintessential Outback Australia at its very best. I have spent quite a bit of time in the bush, I know a few good yarns and a couple of rustic pubs. A long straight road heading west, a good camp fire at night, plenty to see and plenty to do, memories for a long time to come. On each tour the main event will take two to three days of our time, the rest is spent looking at the world beyond...the Stockman’s Hall of Fame, The Waltzing Matilda centre, The Min Min Encounter, QANTAS museum and much much more. Travel in total comfort and camp by a Billabong under a million stars. Let us take care of a truly great experience for you. Small groups ensure great personal service, and limited tag along places are available. DOWNLOAD Booking Form as pdf.